No longer the preserve of your grandmother's dusty cookbooks and 70's dinner parties, vol-au-vent are experiencing a much deserved renaissance. 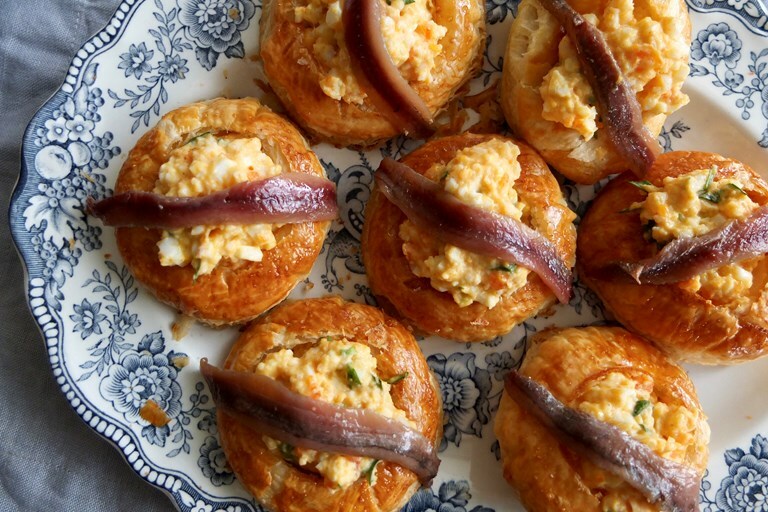 Helen Graves fills the buttery puff pastry cases with a creamy egg mayonnaise, topped with a solitary anchovy for a hit of umami. Vol-au-vent are having a bit of a second wind recently, and rightly so – who doesn’t enjoy pastry with a creamy filling? These are best eaten immediately. If you’re going to serve them later on, make the filling and cases separately then combine just before serving.